Convertible SUV is one of the niche segments in the world and so far Land Rover is the only manufacturer who has tried their hands on this segment with the Evoque Convertible but it is not so popular among customers. 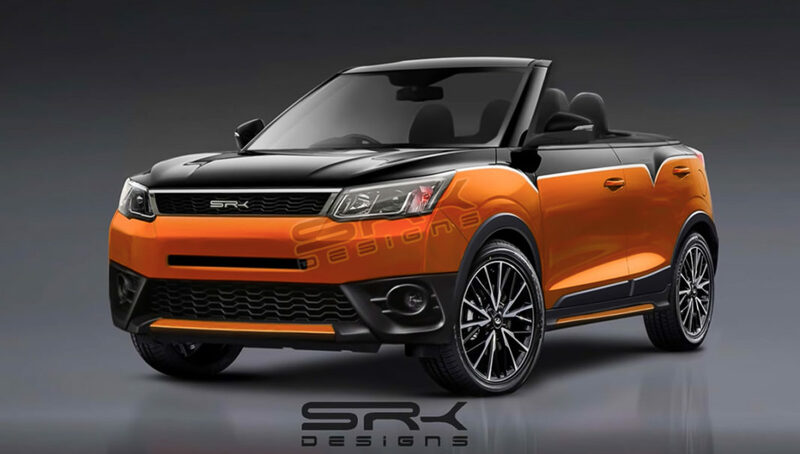 If Mahindra decided to do a convertible version of XUV 300 then the production model would look this. Maybe someone at Mahindra will notice this rendering and in future, they might reveal a concept version based on this. The basic design theme has been retained when compared to the regular version as the front gets minor changes like new grille along with revised bumper and integrated DRLs in the headlamps. The rear view mirrors get a new design with integrated blinkers while the front windshield comes from the regular model. The convertible version is finished in dual tone black and orange colour theme along with a new set of multi-spoke alloy wheels gives a sporty finish. The XUV 300 convertible also comes with a body kit. The four doors have been retained as convertible models usually come as a three-door and to access the second row you have to slide the front seat forward. Overall, the XUV 300 convertible looks really good. But for our road conditions convertible is not a good choice and we won’t get a convertible version of XUV 300. Mahindra is planning to launch the new XUV 300 next month in India and it is the second SsangYong re-engineered product to be introduced in India. The XUV 300 is based on Tivoli platform and both models share lots of components but the exterior design theme is completely different as the front get new grille from Alturas G4 along with new tail lamps and a redesigned bumper. The interior is shared with Tivoli but Mahindra has given lots of segment first features like dual-zone climate control, electric sunroof, four disc brakes, touch screen infotainment system, 7 airbags and more. The XUV 300 is powered by a 1.5 L diesel engine from Marazzo with 123 PS and a new 1.2 L turbocharged petrol engine.